A man suspected of fatally shooting two people Saturday inside an Arkansas home and a worker at a nearby business has been found dead of a gunshot wound inside a stopped car, police said. Jonesboro Sgt. 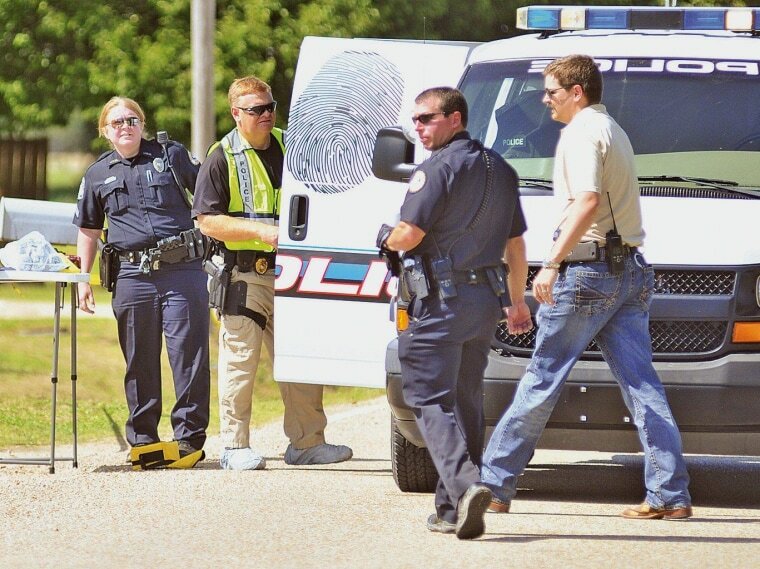 Doug Formon said a man and a 13-year-old girl were killed Saturday afternoon inside the residence in east Jonesboro, Arkansas. Four other people — including two boys — were injured and were taken to hospitals in Memphis, Tennessee. He said the children, ages 8 and 10, were transported in critical condition. Formon said it appeared a family was having a party or gathering. Police received a 911 call about the shooting at the residence around 1:00 p.m. At 1:22 p.m., police responded to a report of a second shooting at a business near a U.S. highway. Forman said a worker was found shot to death at the site, where construction and lawn work had been ongoing. The man Formon says is the suspected gunman was found in the driver's seat of a stopped car. It wasn't clear if the gunshot was self-inflicted. Forman said police do not yet know a motive and said the investigation is ongoing.